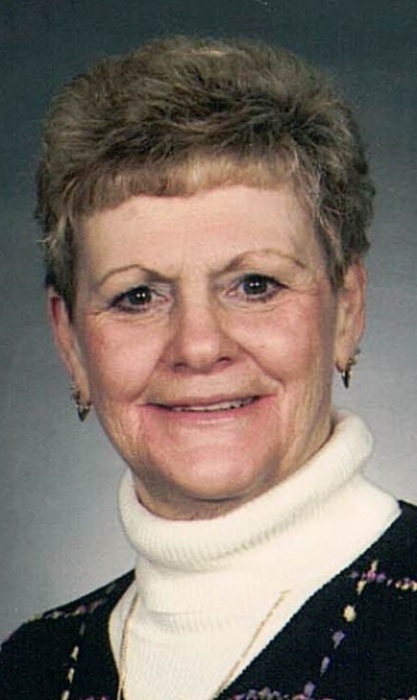 Mary Kay Karrick-Walters, 75, died Wednesday, February 6, 2019 at Hospice of Northwest Ohio, Perrysburg. She was born November 12, 1943 in Toledo. Kay was an educator for 44 years at Northwood Middle School and in Oregon Schools. She was a member of Christ United Methodist Church, Choraliers and Oregon Community Theatre. Kay is survived by her husband Howard; children David (Angela) Karrick, Stephen (Kerri) Karrick and Peter (Michelle) Karrick; step children Howard Walters III, Debbie (Timothy) Tyo, Matthew (Karen) Walters, Melissa (Curt) Mellot; 22 grandchildren; brothers Dee (Judy) Huffman and Gordon (Bev) Huffman; sister-in-law Pat Huffman; many nieces and nephews. She is preceded in death by her parents Dale and Mary (Carr) Huffman; husband Charles R. Karrick and brother Phil Huffman. Family and friends may visit the Freck Funeral Chapel, 1155 S. Wynn Rd in Oregon on Monday, February 11, 2019 from 4-8 p.m. and Tuesday, February 12, 2019 from 2-8 p.m. Funeral service will be held Wednesday, February 13, 2019 at 11 a.m. at Christ United Methodist Church, 5757 Starr Ave. Ext., Oregon, OH 43616. Burial will follow at Lake Twp. Cemetery. In lieu of flowers, memorial contributions can be made to Christ United Methodist Church or Hospice of Northwest Ohio.